In the Treaty of Point Elliott (1855), the Upper Skagit Indian Tribe ceded a large section of land in northwestern Washington to the United States. The Tribe was almost landless for more than 100 years. In 1981, the Secretary of the Interior proclaimed approximately seventy-four acres of land to be the Tribe’s initial reservation. Subsequently, the Tribe has purchased approximately 500 acres of mostly contiguous land to rebuild its land base. This included, in 2013, the purchase of a 39.56-acre parcel of undeveloped land from the title holders of record. More than one year after the purchase, adjacent landowners—the Lundgrens—brought a lawsuit claiming that they had title to part of that land parcel. According to the Lundgrens, they own the land through adverse possession (i.e., “squatter’s rights”) because there was an over-grown barbed-wire fence on the land and they had cleared dead trees from the area. The Tribe raised sovereign immunity before the state trial court, but that court refused the Tribe’s motion to dismiss and later granted summary judgment in favor of the Lundgrens. The Washington Supreme Court affirmed that decision. Subsequently, the Tribe filed a petition with the U.S. Supreme Court asking for review of the Washington Supreme Court decision, which held that tribal sovereign immunity did not bar a suit against the Tribe’s property (referred to as an in rem action), as opposed to a suit against the tribal government itself. On December 8, 2017, the United States Supreme Court agreed to hear the case, Upper Skagit Indian Tribe v. Lundgren. The question presented is: Does a court’s exercise of in rem jurisdiction over a tribe’s property overcome tribal sovereign immunity, assuming the sovereign immunity has not been previously waived or revoked? NARF collaborated with two distinguished Indian law professors to draft a brief, filed with the Supreme Court on January 29, 2018, on behalf of the National Congress of American Indians, the Association on American Indian Affairs, more than two-dozen Indian tribes, and inter-tribal organizations representing dozens more tribes. These parties have a strong interest in averting the curtailment of tribal sovereign immunity that the Washington courts advocated with their decisions in this case. The brief provides important context for the Court and argues that the Washington Supreme Court’s analysis was deeply flawed. For example, the brief discusses how, over the past sixty years, the U.S. Supreme Court has repeatedly stated that federal sovereign immunity cannot be evaded by bringing an in rem action against government property (or by other sleights of hand, such as naming a government official as defendant) when sovereign immunity would not allow the action to be brought against the federal government itself. If the government is the real party in interest, the suit is barred by sovereign immunity regardless of the named defendant—unless a waiver of that immunity has been granted. Like federal and state immunity, tribal sovereign immunity is derived from the inherent sovereignty of Indian tribes. The U.S. Supreme Court has always identified the scope of tribal immunity to be equal with the scope of federal and state immunity. In fact, one of the main purposes of sovereign immunity is to safeguard government property, and that purpose has even greater force for Indian tribes, which have far fewer resources than state and federal governments and already have been dispossessed of much of their land and resources. Therefore, permitting private parties to bring claims against tribal land, such as the one in this case, would not only violate established rules of sovereign immunity, it would violate the federal policy of protecting tribal land and reversing tribal land loss. Briefing continues before the court, and oral argument is scheduled for March 21. 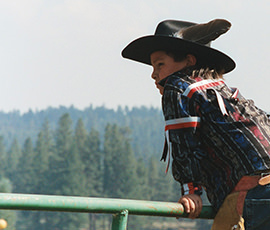 You can learn more about the case by visiting NARF’s Tribal Supreme Court Project website.